Danessa is using Smore newsletters to spread the word online. MRSA: What You Can Do About It! Ways You Can Stop MRSA From Stopping You! By maintaining good hygiene, the risk of getting a MRSA infection is drastically reduced. Staph infections are bacterial, so by keeping yourself clean and sanitary, the bacteria will not be able to sustain itself on your skin. Wash your hands thoroughly, sing "happy birthday" or the ABC's to yourself to ensure you have washed them long enough. SPEND ENOUGH TIME TAKING CARE OF YOUR HYGIENE! Make sure you give yourself enough time to take care of your body, making sure it is clean and free of harmful bacteria. Do not come into contact with infected patients or persons, because MRSA spreads by contact! When an open wound is present on your body, keep away from crowded living conditions, and keep the wound clean and covered. This will make sure the wound does not become infected with staph bacteria. How can you protect yourself from MRSA? To prevent and control MRSA from spreading, maintaining our body and belongings clean are vital. Here are a few ways we can keep our body and belonging clean: Wash hands frequently throughout the day, after playing a contact sport or using gym equipment make sure to shower, wipe down gym equipment before using not only after, keep skin covered with clothing as much as possible, wash clothes in hot water and dry in a hot air dryer, cover ANY skin wound, and last clean your personal living space. MRSA: Washing your hands, are you doing it right? You think you know how to properly wash your hands, huh? Proper hand washing requires soap, water, and friction. Splashing water isn&apos;t going to cut it. Here are a few easy steps to make sure your hands are properly getting clean when you wash them. 1) Use warm water and soap (make sure not to share soap, or leave it in the bathroom, instead keep it with your personal belonginings). 2) rub hands (palms, back, under nails, between fingers, and wrists) for atleast 20 seconds. 3) rinse off all soap and dry hands with a paper towel (use the paper towel to turn off water and open bathroom door). If you are currently infected with Methicillin-resistant staphylococcus aureus (MRSA) and don’t have any more ideas on how to cure it, scientists have the answer for you! The homeopathic new idea of soaking in the tub is soaking in a garlic water! Garlic is a natural antibiotic agent and boosts your immune system. Raw garlic has the most nutrients out of powder or whole form. Long baths of garlic water helps soak through the skin and circulates the body to kill the MRSA wherever it goes. They are also beneficial for topical cleansing. You must soak for at least two hours in order for enough for allicin and polysulfides to enter the body of the vascular and lymphatic systems. The more frequent and longer the baths are, the less frequency and severity of MRSA coming back. For any Methicillin-resistant staphylococcus aureus (MRSA) patients dealing with this disease trying to find a cure all natural, there is more than one way to do it. Besides antibiotics, there are other treatments. One is a good diet, which can be effective and beneficial. Vitamin A and Vitamin C are great for the body. 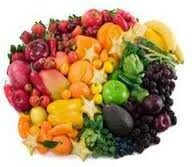 Vitamin A foods are in liver, eggs, milk, and orange colored vegetables and fruits. Vitamin C is in raspberries and strawberries. 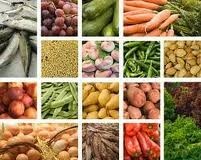 Magnesium is also good, which it’s contained in pumpkin and squash seed kernels, spinach, Brazil nuts, bran cereal, halibut, quinoa, almonds and soybeans. Oatmeal and baking soda are also beneficial. 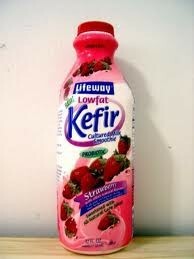 A drink called Kefir is beneficial too. Kefir is a cultured drink made from cow’s, goat’s, or sheep’s milk. Another remedy besides a diet is using essential oils, such as tea tree oil.Hydrogen peroxide, witch hazel, hot compresses are good salves to use. A product called Manuka honey is effective to cure MRSA. Diets and medicines are inexpensive and are an effective cure for MRSA. YOUNG MAN BECOMES INFECTED WITH MRSA AND MUTATES INTO ALIEN! Brett Alfredo, 22, became ill and was sent to the hospital November 19, 2012 to be seen. He was diagnosed with MRSA and was given a non-Beta-lactam antibiotic to cure the staph infection. The very next day young Alfredo has mutated into a dangerous alien! Scientists have no explanation for this insanity, Doctor Brown states "This is unheard of. In all my years having studied the sciences, I have never seen, or even heard of such an event. It seems as though it may have been the medication given to Brett. But then again we're at a dead end for an explanation." Brett's infection became severely painful and infected, but no one saw the mutation coming. This is Brett four days after being admitted to hospital. He was unresponsive for the first few hours after his transformation. A survivor managed to get a picture of Brett just before his attempted attack. IF BRETT ALFREDO IS SEEN, DO NOT APPROACH HIM! If Brett is seen, either in human form or alien form, take extreme precautions and stay away from him. Look for a police officer or other similar security. Do not approach him as he is dangerous and growing violent. His powers and strength are unknown, so every measure of security needs to be met. We are professional alien hunters!